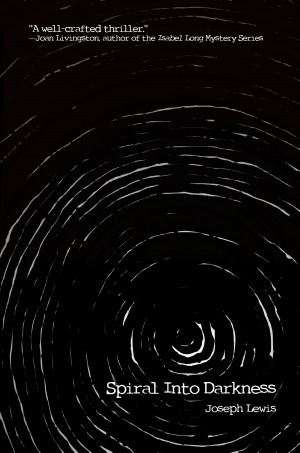 Featured Indie Book on Indie Author News: Psychological Thriller Spiral Into Darkness by Joseph Lewis. Spiral Into Darkness: The depth of characters is an important feature in Lewis' writing. Like James Patterson (Alex Cross) and John Sanford (Lucas Davenport), he carries the characters forward from one book to the next into another adventure. In Spiral Into Darkness, Lewis explores three themes: Is a serial killer born or made? Is a family born or made? Is one's sexuality born or made? The Book has been self-published via Black Rose Writing and is available as eBook and Paperback - 365 pages - released in January 2019. He is successful, intelligent and methodical. He has a list and has murdered eight on it so far. There is no discernable pattern. There are no clues. There are no leads. The only thing the FBI and local police have to go on is the method of death: two bullets to the face- gruesome and meant to send a message. But it’s difficult to understand any message coming from a dark and damaged mind. Two adopted boys, struggling in their own world, have no idea they are the next targets. Neither does their family. And neither does local law enforcement. 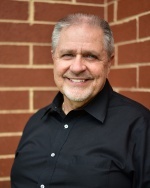 Joseph Lewis has been in education for forty-two years and counting as a teacher, coach, counselor and now as an administrator. He uses his psychology and counseling background and his knowledge and fondness for kids in crafting his characters and dialogue. He has taken creative writing and screen writing courses at UCLA and USC. Lewis has published four books, all available on Amazon and each to excellent reviews: Taking Lives (August 2014) the prequel to the Lives Trilogy; Stolen Lives (November 2014) Book One of the Lives Trilogy; Shattered Lives (March 2015) Book Two of the Trilogy; and Splintered Lives (November 2015) Book Three of the Trilogy. His fifth novel, Caught in a Web debuted April 2018 from Black Rose Writing and was named a PenCraft Literary Award Winner. Spiral Into Darkness launched January 2019. Born and raised in Wisconsin, Lewis has been happily married for twenty-six years and counting to his wife, Kim. Together they have three wonderful children: Wil (deceased July 2014), Hannah, and Emily, and they now reside in Virginia.